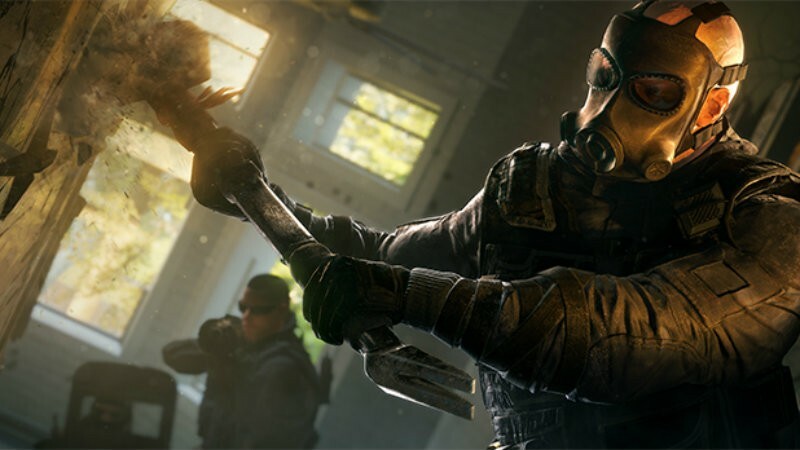 Does this Rainbow Six Siege Alpha footage make you want to commit? Studios certainly love to show off their wares sooner than ever. Why wait until the third date before jumping into bed with players – they’re willing to expose what’s on offer in the Alpha stage already. However, much like overeager daters, it’s all in an attempt to seal the deal and get you to commit. Okay, this metaphor is getting creepy, but that doesn’t make it wrong – does this early footage make you excited to commit and pre-order Rainbow Six Siege? With the game being all about indoor close quarter combat, we are making sure that 60 FPS and low latency are mandatory so that player’s input is fast and responsive. The Closed Alpha will begin on April 7 at 10am ET and end on April 13 at 10am ET.Those who make it in will also have the chance to try out the ten recently revealed Operators, like the brutish Sledge and the ever-vigilant Pulse. If you weren’t able to get access to the Closed Alpha, you can head to the official website and sign up to be placed on the waiting list for the console and PC beta coming later this year, or pre-order Rainbow Six Siege for automatic entry. That’s right – if you feel like you’re missing out on the Alpha, never fear, you can enter for a slot on the waiting list to be allowed into the Beta. Or, if you are tired of the uncertain nature of life, you could just commit and pre-order, allowing you to rest easy with the knowledge that you’ll be included in the Beta. Why would you want to be a part of Beta testing? I suppose to be one of the first people to play the game, even if it isn’t the finished product. Betas seem to be replacing demos – they give a taste of what the game will include while still giving feedback to developers. I’m not a fan of this model, but it seems to be what everyone wants – both gamers and developers seem to enjoy this set up. Still, I worry that all these Alpha and Beta tests open to the public are changing our perceptions about game development and expectations for how studios can build hype leading up to the game. Just look at those massive Betas for Titanfall, Destiny and Evolve. Would you be willing to pre-order the game if it means grabbing Beta access? Or will you be pre-ordering simply because the game looks rad and you’re sure you’ll want to play it when it’s released? Previous article Midweek Movie Mouth-off: IMAX – is it worth it?